the calendars that you have created on your Google Calendar account, as well as the calendars made available to you by other users. 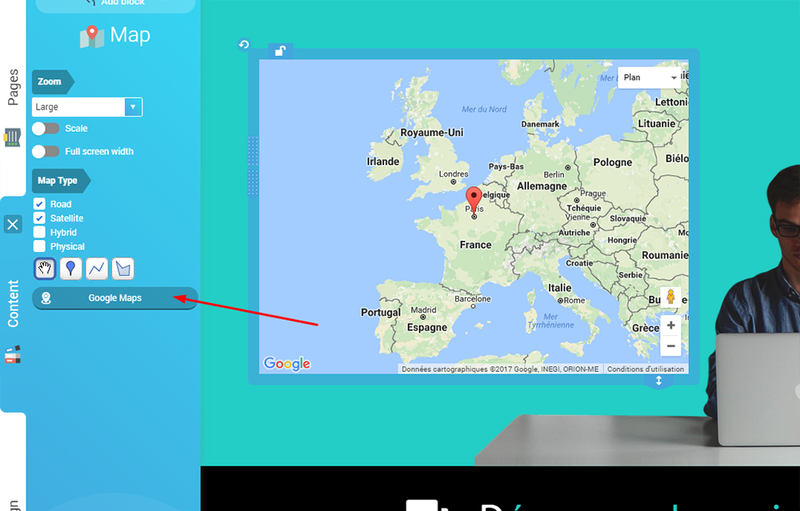 When you add a map to your Google Drive account, it will be available in read-only mode, only for the users who have the link. As far as your personal calendars are concerned, their privacy status will automatically change to “Public” so that they can be displayed on your website. Start with clicking on the Google Drive icon, located under the My Cloud files tab. Upload your files by dragging them with the mouse, just like you usually do. Click on the Google Calendar tab, only available for the calendars that have been created using this service. That way, you access the service that enables to add calendars. Then click on the button that allows to login to the service. 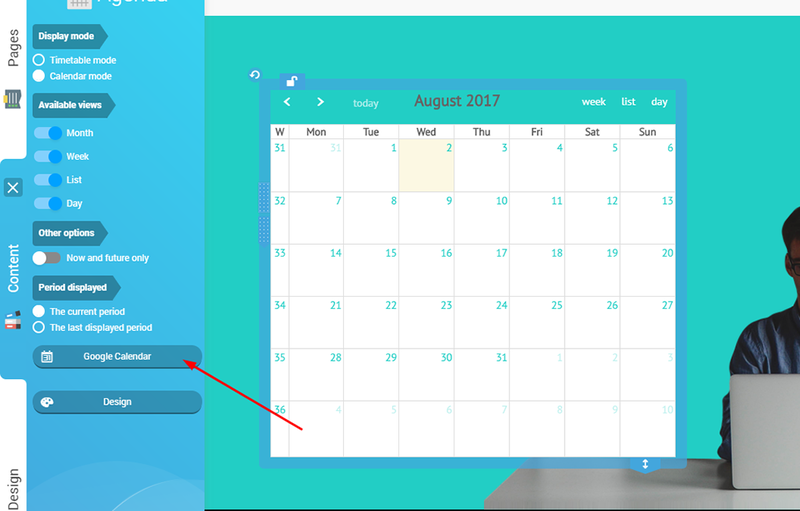 Once the connection has been authorized, all the calendars will appear on the screen. That way, you can select the ones you want to display and preview them. Finally, you can validate your selection, in order to add the events to your SiteW calendar. To conclude, SiteW allows you to have easier access to Google Tools for your website creation, for you to quickly improve your website and to share your data with your visitors, even more easily.